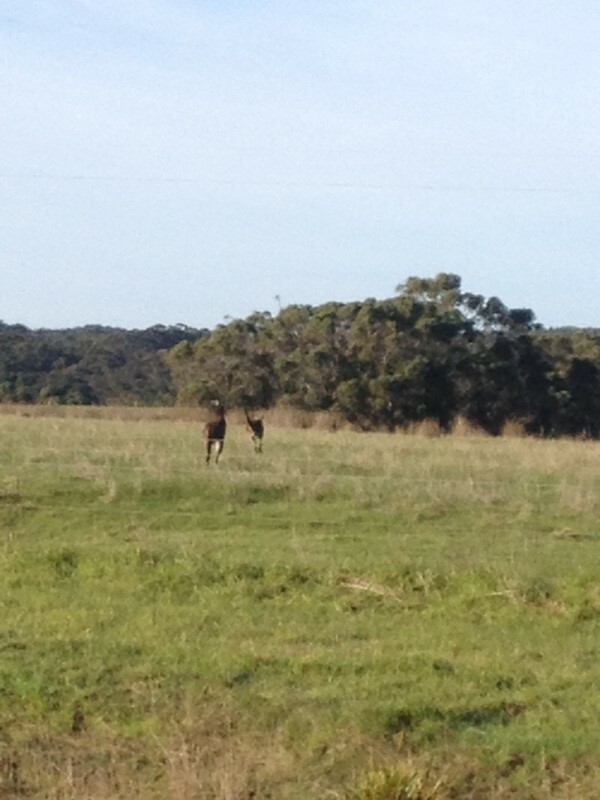 Yesterday afternoon I rolled into the information centre at Warpole. Cold in sodden clothes, I resolved to take a donger (cabin) so I would be able to dry out my increasingly damp and smelly clothes. No room at the inn, though, all booked out. Thankfully Graham who runs Anni Domek B&B with his wife Theresa took pity on a wet and weary cyclist, accommodating me at a discount rate. 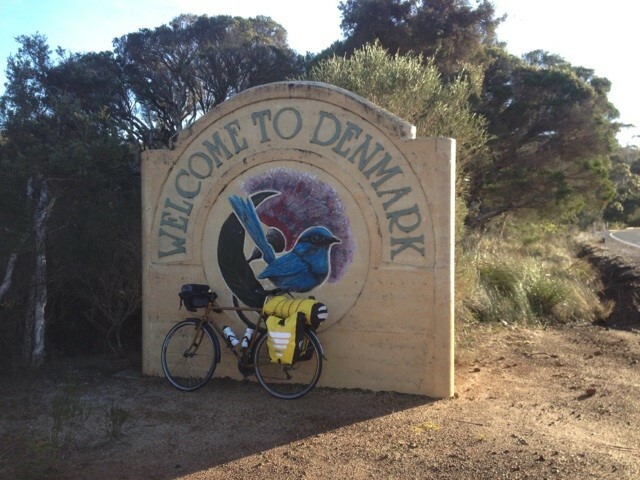 They were wonderful people to boot, so after a great nights sleep it I set off in dry clothes for Denmark some 65 kms away. 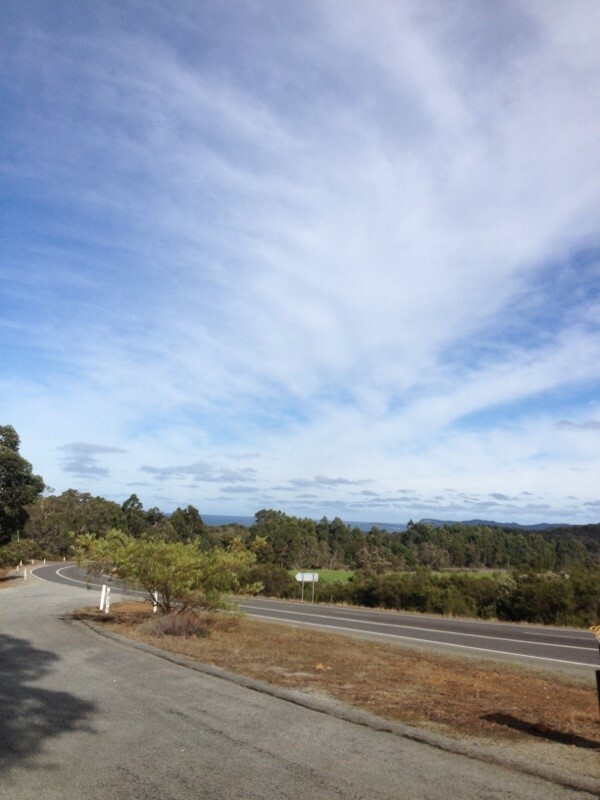 Crispy cold and cloudy but thankfully no rain as I continued my tour of the Great Southern Forests of Western Australia. 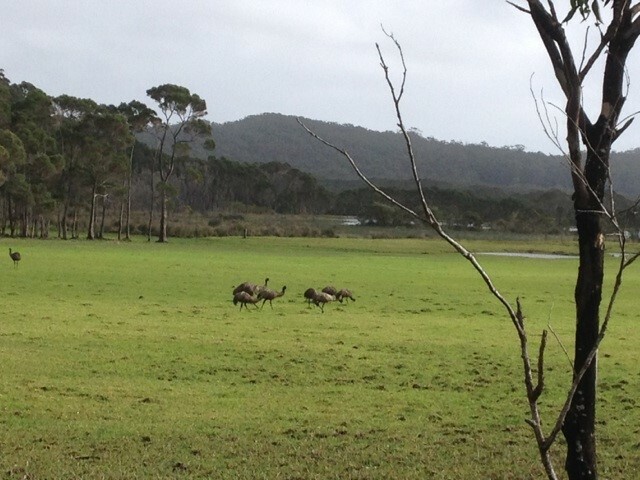 Kangaroos, emus, kookaburras, currawongs, ducks, frogs, egrets, lorikeets, fairy-wrens, wattle birds, pardalotes, song larks and maybe a swamp harrier crossed my path today. 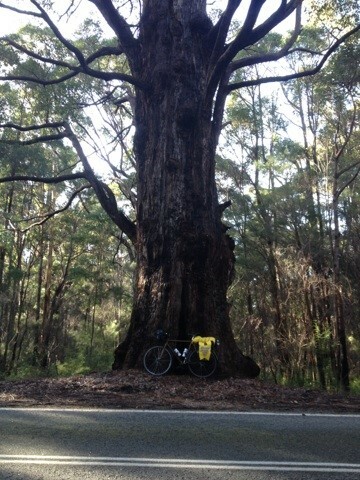 It was fun riding along on a good surface in rolling forest country. 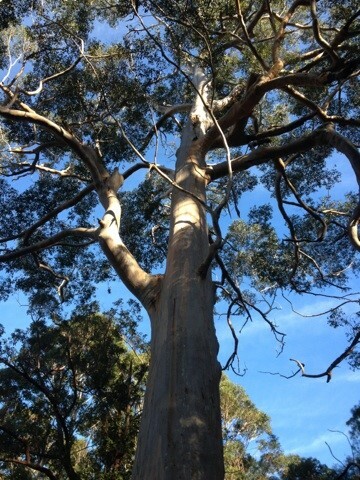 I never tire of the trees which are magnificent along with that sweet eucalyptus aroma. I made good time too, only stopping briefly in Denmark for a pot of tea and an overpriced sandwich. Not far out of Denmark the road began to flatten out, the forest country gave way to open pasture farmland: Wineries, sheep and cattle. After more than a week of riding the roller coaster roads through the Southern Forests I think I may have finished with the tall timber of the bush for now. 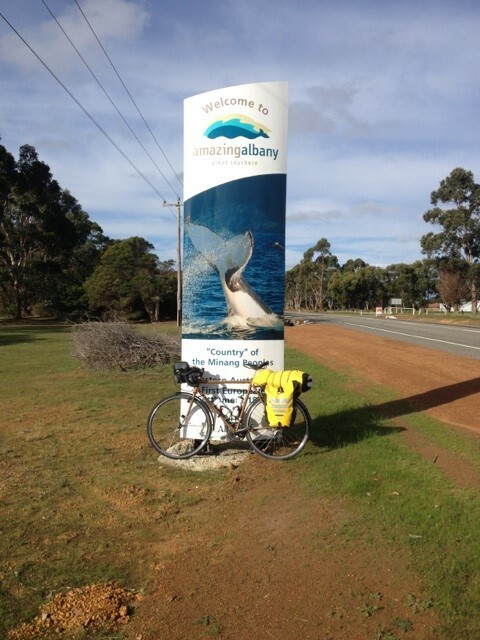 Riding in roughly a south easterly direction towards Albany, I have said farewell to the Indian Ocean, with the Southern Ocean now on my right between the farmland and hills around the coast. There’s gentle cross / tail wind. 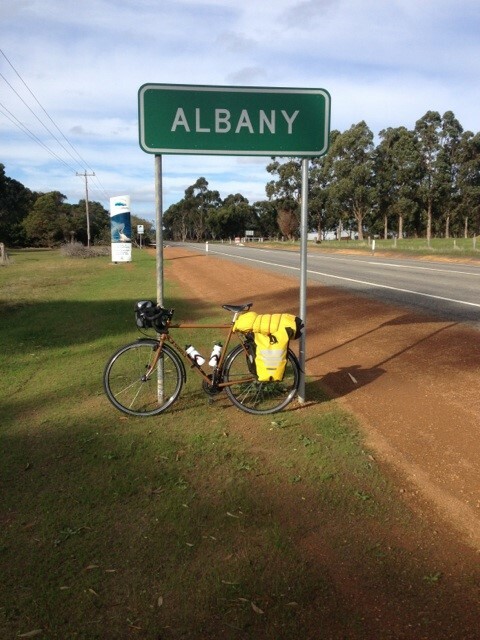 It was easy going the last 60 kms to Albany, where once again I became geographically challenged. I was surprised that it’s a big well laid out city. At the visitors centre they keep a daily tally of Whales spotted:18 today! 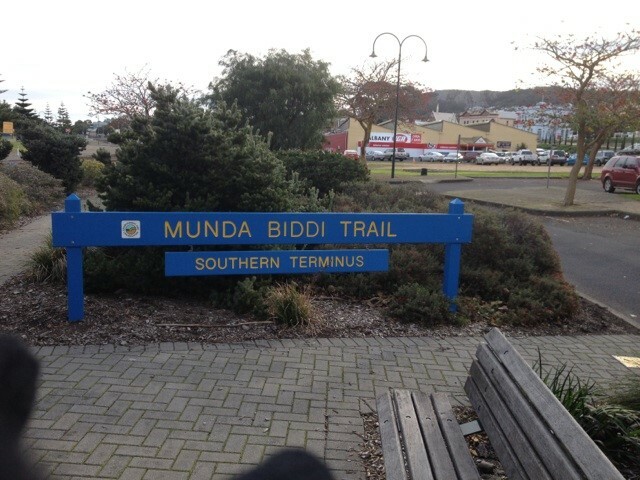 It’s also the Southern terminus of the Munda Biddi trail (a ride for another time with). 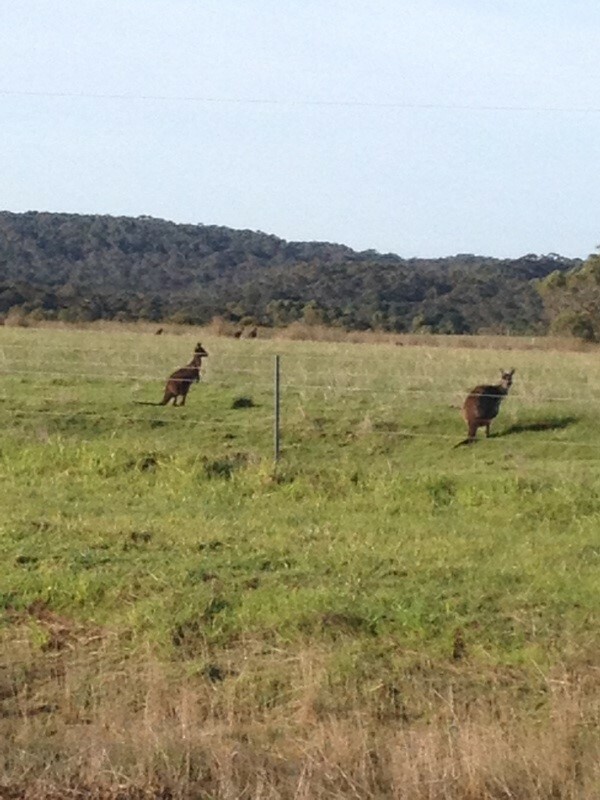 Albany (Australia) used to harvest whales well into the 1970’s. Now we take the Japanese to the international court to stop them from whaling. Who said things don’t change? Albany has a massive port, with what looks like bulk carriers in the harbour. It was the last landfall for those Australian troops who volunteered for the Great War, 100 years ago. For many, not the least the 40,000 buried in France, it was their last view of the land of Oz. Following the bike path along the cliff tops, past the old gun emplacements for about 5kms I came to the Middleton Beach Caravan Park, where I have a wonderful tent site 30 meters from the beach! great pics nick [young fella] good to hear you’ve dried out .I hav’nt seen a photo of your tent set up yet.